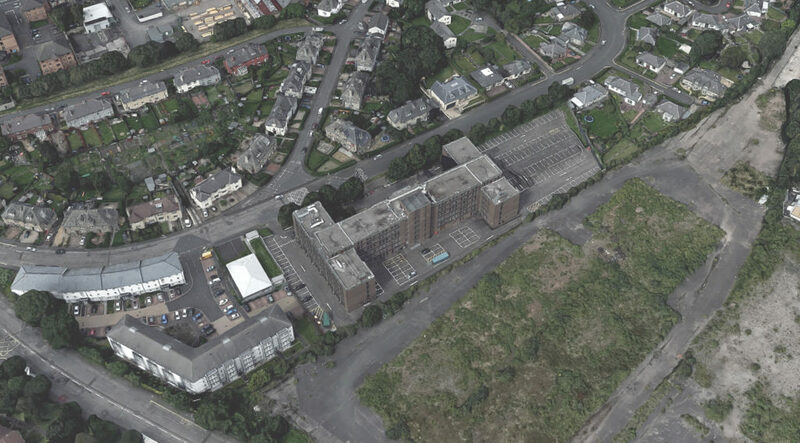 Surface was commissioned to undertake a Flood Risk Assessment for the redevelopment of an office block for student accommodation, close to Edinburgh Napier University. Surface undertook consultation with the City of Edinburgh Council to confirm the requirements for flood modelling. A 2D surface water model was created in Flood Modeller software to show surface water flooding routes at the site. The model outputs informed mitigation measures such as filter drains and SuDS at the site. An assessment of flood depths from river sources was also undertaken using cross sectional analysis from the Water of Leith Flood Model. SEPA reviewed the model and had no objection to the development. Planning permission was granted by The City of Edinburgh Council, adopting recommendations from the Flood Risk Assessment.